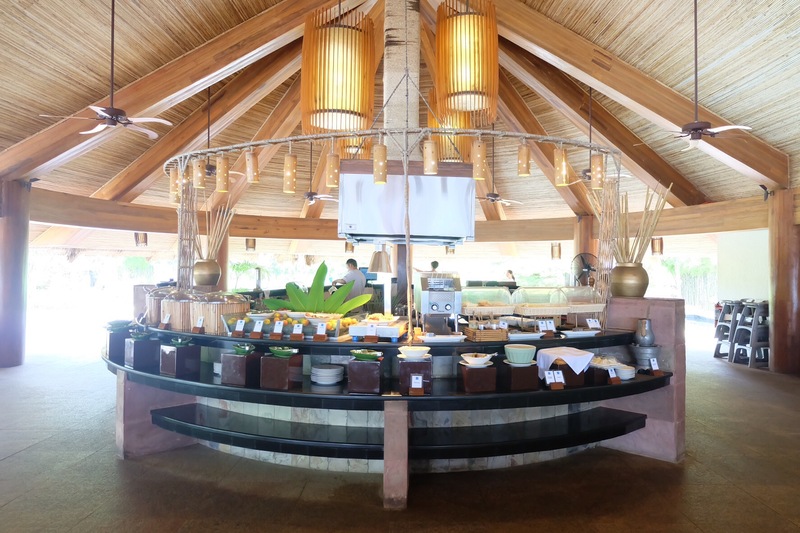 Aplaya Restaurant of the Bluewater Panglao Resort is one of Bohol’s most beloved beachfront restaurants. The 5-year old restaurant is renowed for its beachfront ambiance, with a cuisine that will surely make you want to visit Aplaya Restaurant over and over again. Aplaya means seaside in both Filipino and Spanish language. The restaurant offers international cuisine ranging from American, Asian and Filipino dishes. Staying at the Bluewater Panglao Resort for two days had me addicted again to my all time favorite Bluewater signature dish, the Cebuano dry adobo with fried adobo rice served inside a bamboo container. For dessert, my favorites are the ube kinampay, mango cheesecake and their creme brulee. Aplaya Restaurant is open daily from from 6am to 10pm.